If Mark Twain were alive today, he would undoubtedly have something to say about YouTube, the war in Afghanistan, and the BP oil spill (see The Onion‘s recent review). In his forthcoming Autobiography, called one of the year’s most anticipated books, he offers his frank opinions of President Roosevelt, greed on Wall Street, and religion, as well as vivid memories of the events and people that shaped his life. 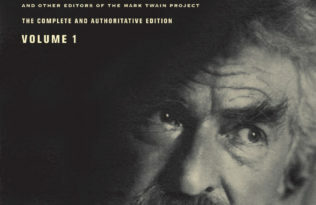 To prepare the Autobiography for publication, the Mark Twain Project editors faced the challenge of unraveling a tangle of notes and revisions, to reveal the manuscript exactly as Twain intended. In the online section of Granta Magazine, Ben Griffin of the Mark Twain Project describes how the editors met this challenge. Granta’s latest issue features an excerpt from the Autobiography, in which Twain recalls life on his uncle’s Missouri farm. Twain was clear that he did not want his complete and authoritative autobiography to appear until 100 years after his death. 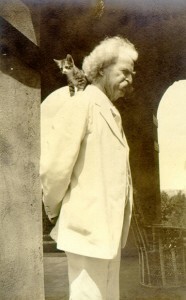 Sections of the autobiography have been published before, by Twain’s biographer Albert Bigelow Paine and others, but as Mark Twain Project editors told the New York Times, the previous versions were heavily censored, with Twain’s most controversial criticisms slashed for fear of tarnishing his reputation. After the editors restored the text to its original form, about half the material in the three-volume autobiography will see the light for the first time, they said. To free himself from the standard autobiography format, Twain dictated his reminiscences to a stenographer, talking about anything that came to mind. When the first volume comes out in November, the world will read his words just as he spoke them more than a century ago. For a sneak peek of the Autobiography of Mark Twain, see the excerpts now available on our website. In other Twain news, UC Berkeley’s Bancroft Library, which houses the Mark Twain Papers and Project, was recently able to purchase the original manuscript of “A Family Sketch” at auction, thanks to the support of generous donors. 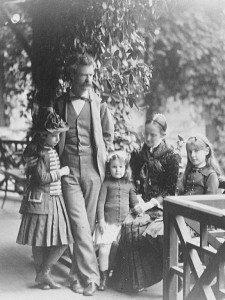 Twain wrote “A Family Sketch” in honor of his daughter Susy, who died at 24 and who once wrote her own biography of her father. Quoted in the press release, editor Robert Hirst said the Mark Twain Project plans to publish “A Family Sketch”, and having the original manuscript, rather than photocopies, will help make that possible.